"Rubinstein Piano Concerto No. 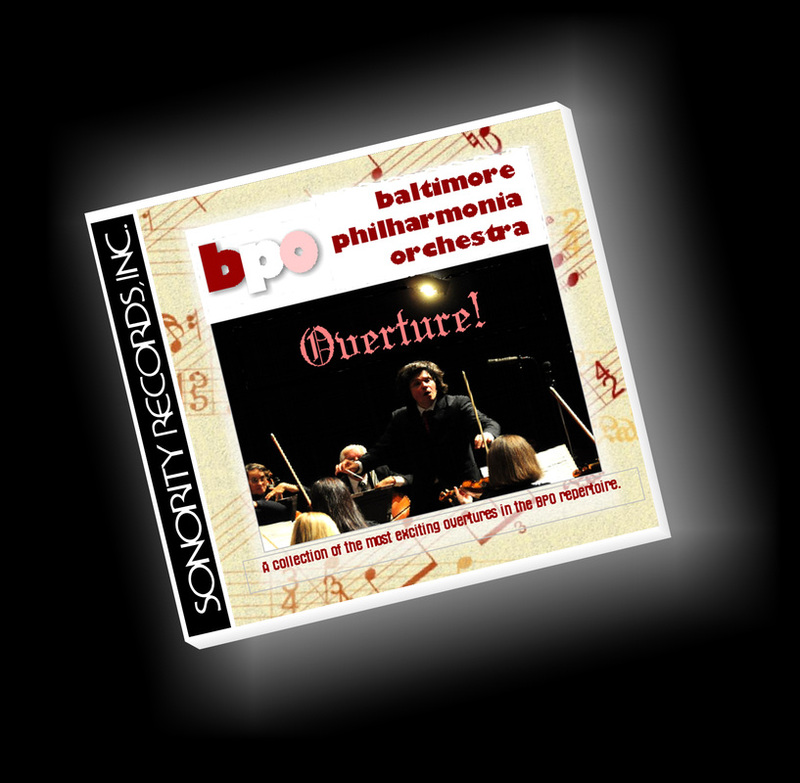 4 in D Minor"
"Overture! 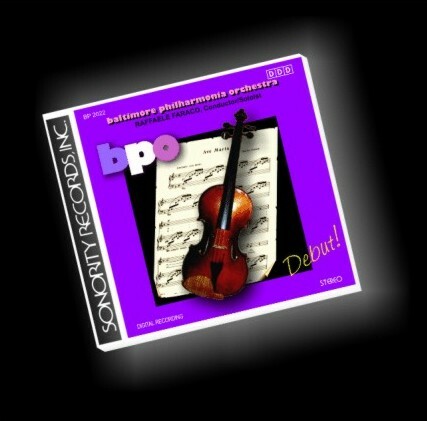 ", a collection of the most exciting overtures in the BPO repertoire PHILHARMONIA. 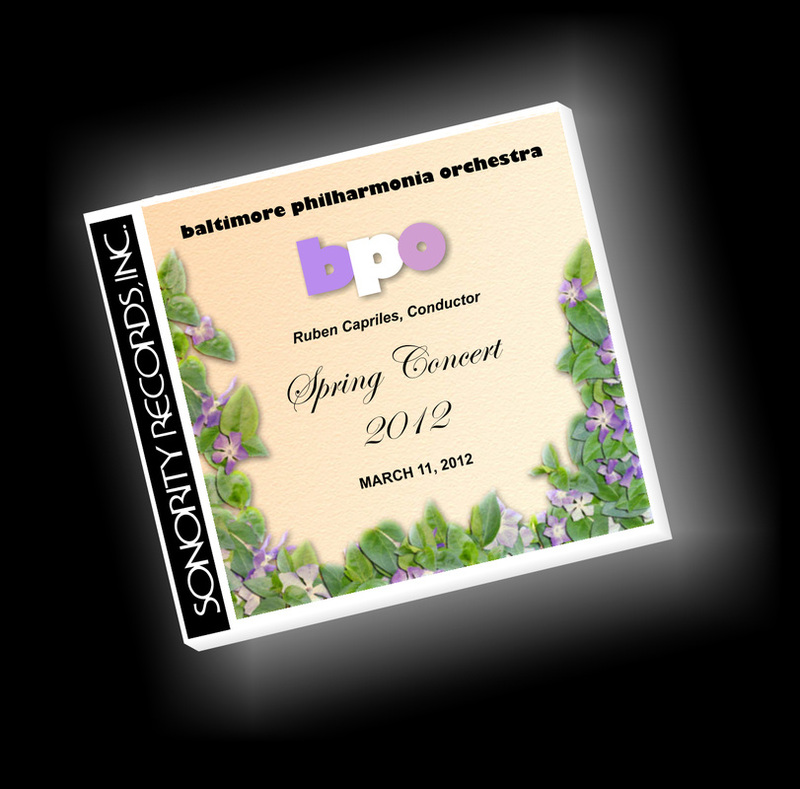 "Debut" , the premiere concert of the BALTIMORE PHILHARMONIA ORCHESTRA. 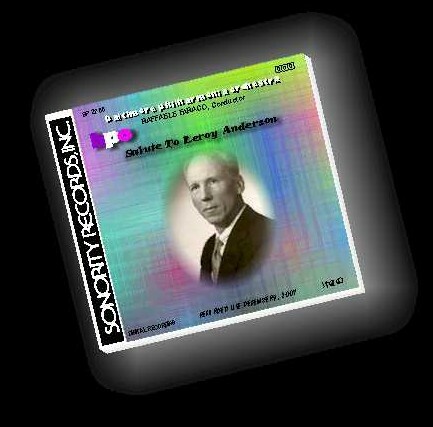 This CD was recorded live on December 13, 1998. "For George", dedicated to the late George London, was recorded live in concert on May 5, 2002 using the latest digital technology. 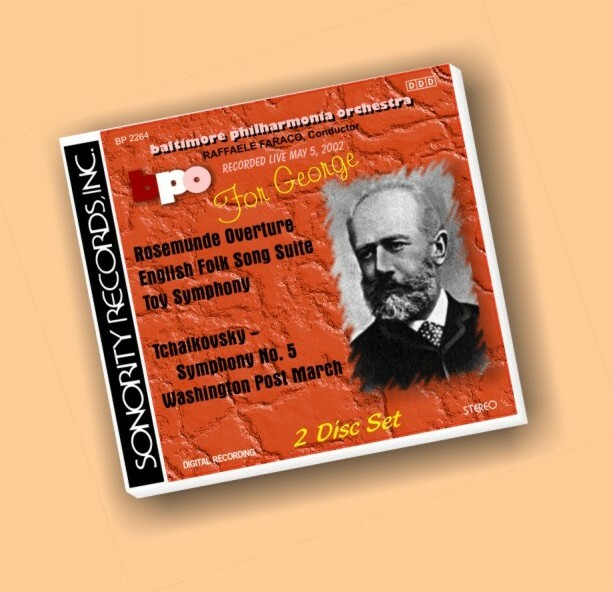 This 2-CD set captures the superb performance of Tchaikovsky’s powerful “Symphony No. 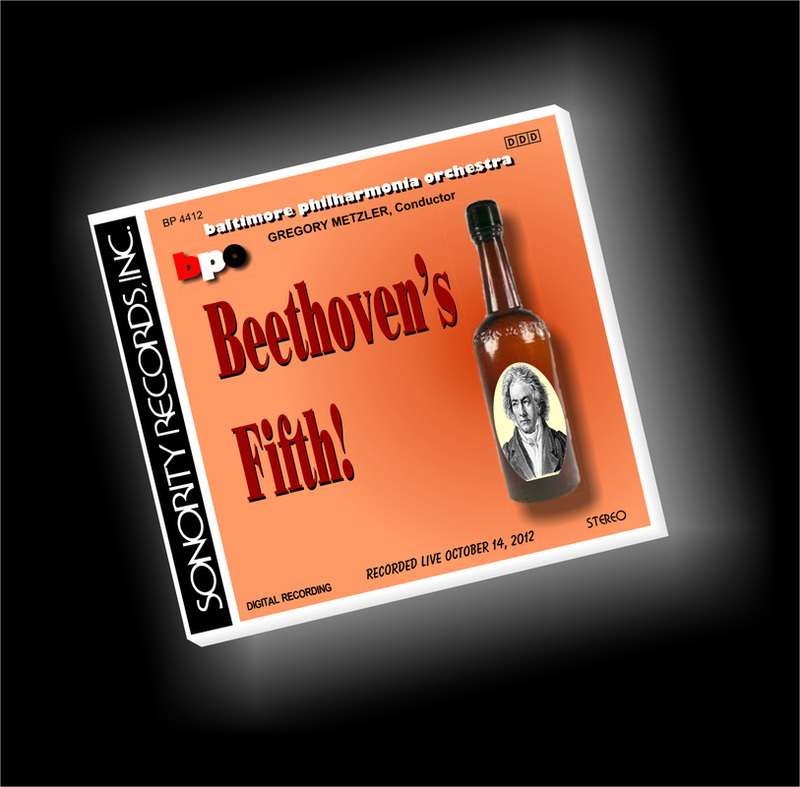 5”, as well as Schubert’s, “Rosamunde Overture”, Haydn’s, “Toy Symphony”, “English Folk Song Suite” by Ralph Vaughn Williams, and John Philip Sousa’s, “Washington Post March”. 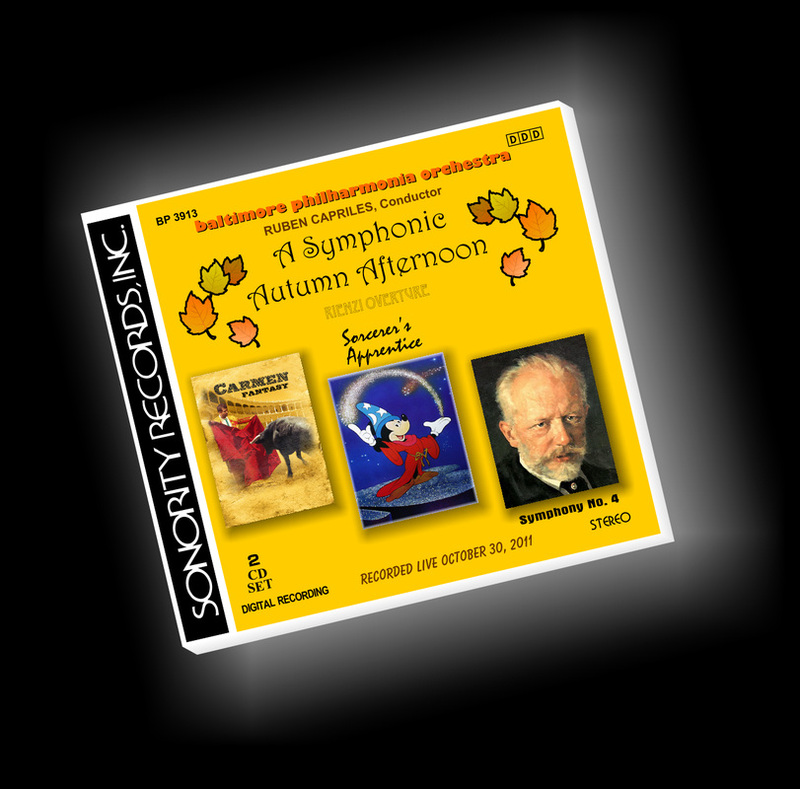 "Franck - Symphony in D Minor"
Digitally recorded live on May 25, 2003. 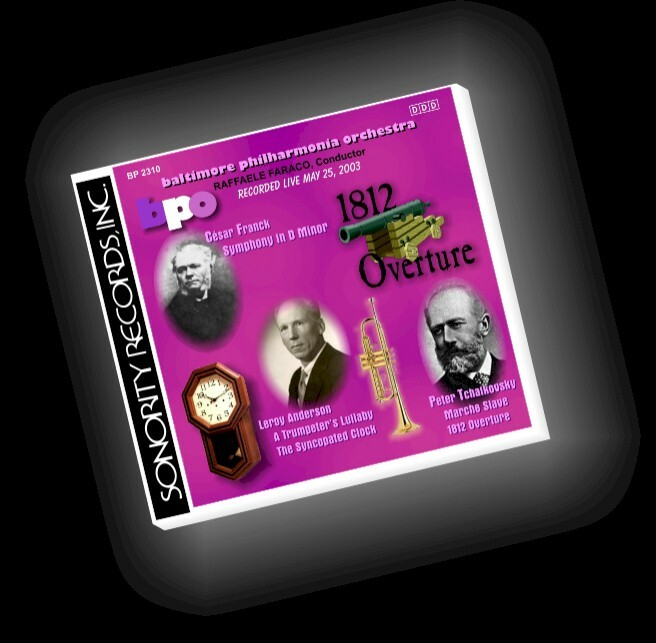 This CD contains some of the most exciting and popular favorites of the symphonic repertoire. 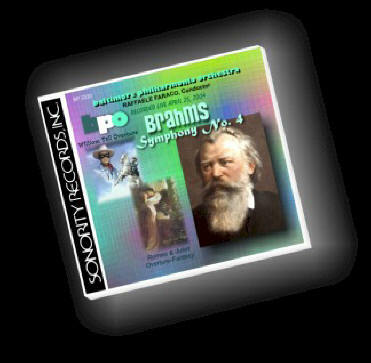 "Brahms - Symphony No. 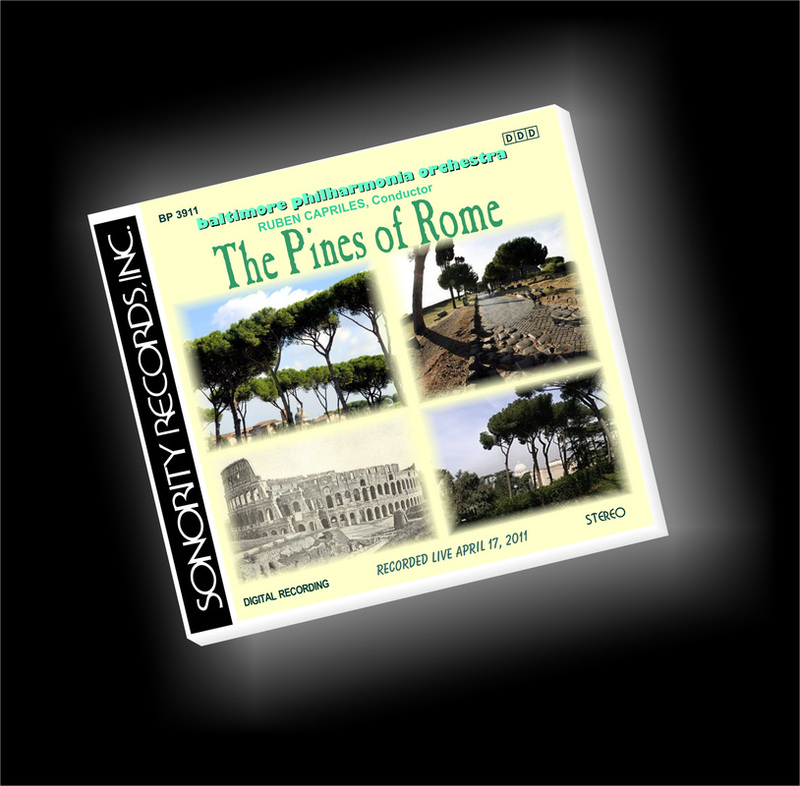 4"
Digitally recorded live on April 24, 2004. This is one of Johannes Brahms' most popular works. 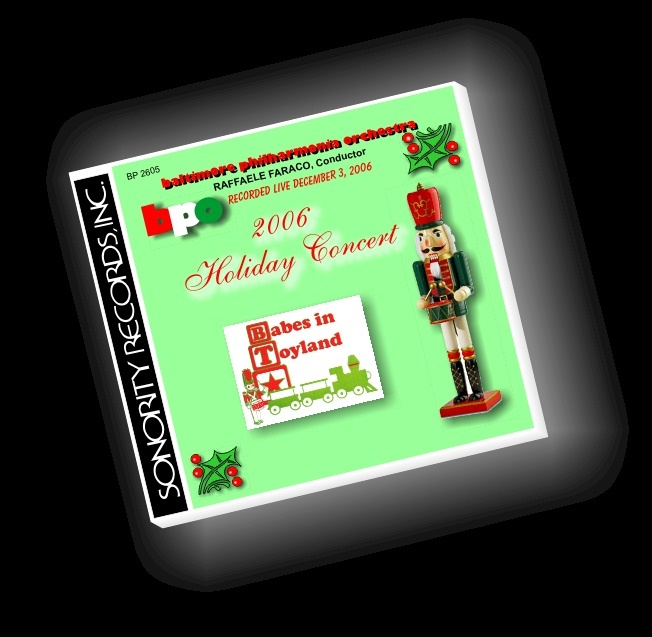 Digitally recorded live on December 3, 2006. 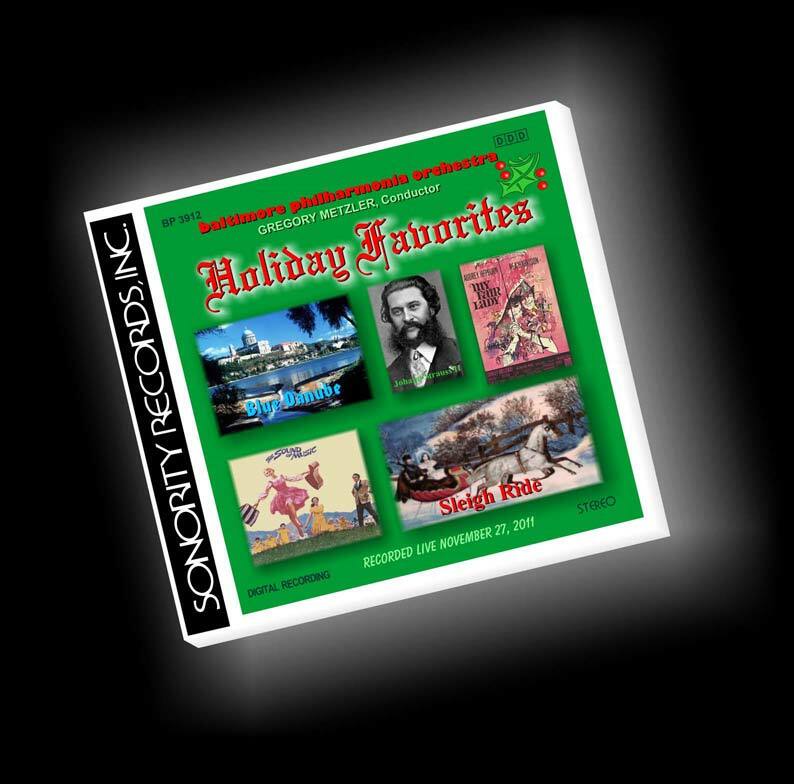 Some of our best holiday favorites as well as Grieg's Peer Gynt Suite and Offenbach's Orpheus in the Underworld. 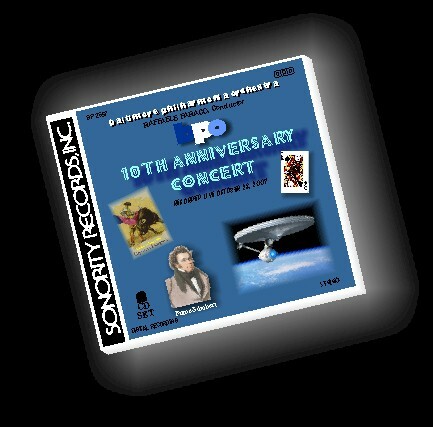 Digitally recorded live on October 28, 2007. A powerful program to celebrate our 10th Anniversary. 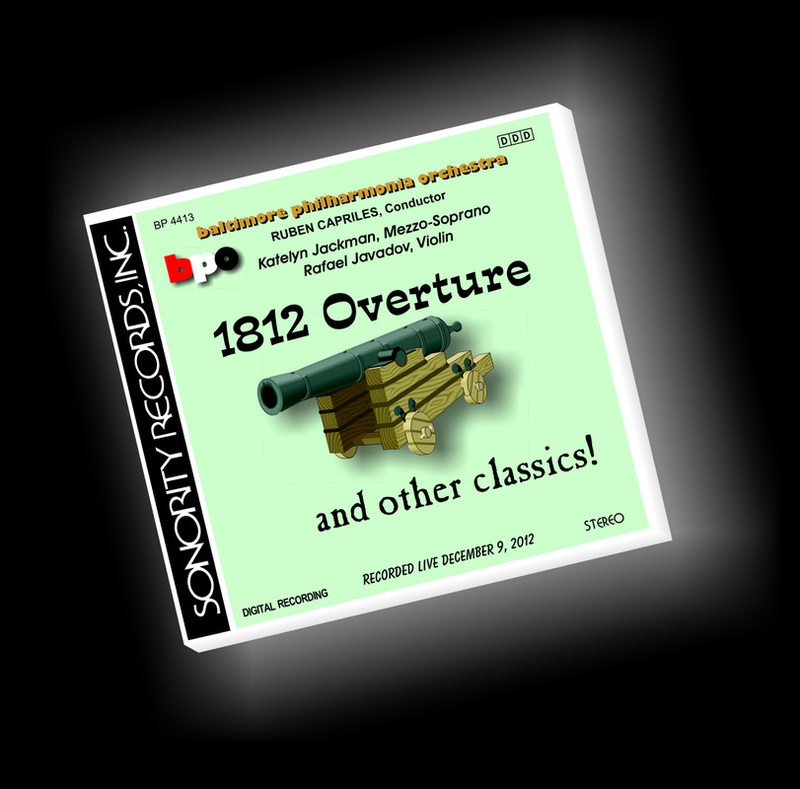 Digitally recorded live on December 9, 2007. A remarkable collection of Leroy's classics, performed for his 100th Anniversary. 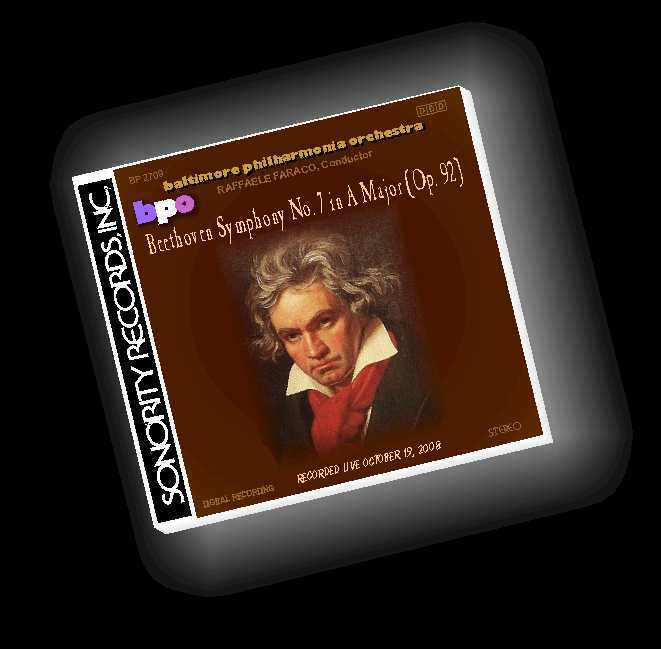 "Beethoven Symphony No. 7 in A Major"
Digitally recorded live on October 19, 2008. 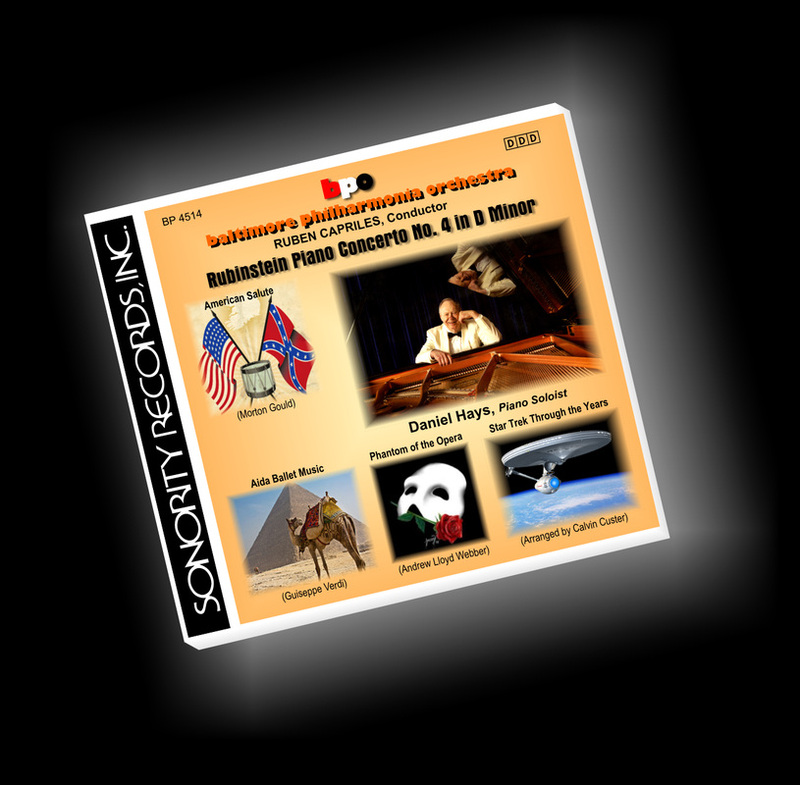 Digitally recorded live on November 27, 2011.